Bruins goalie Tuukka Rask has several milestones in his sights this season. After the Montreal Canadiens and New Jersey Devils fired Claude Julien in consecutive years, he made the playoffs in each of his first seven seasons with the Boston Bruins. 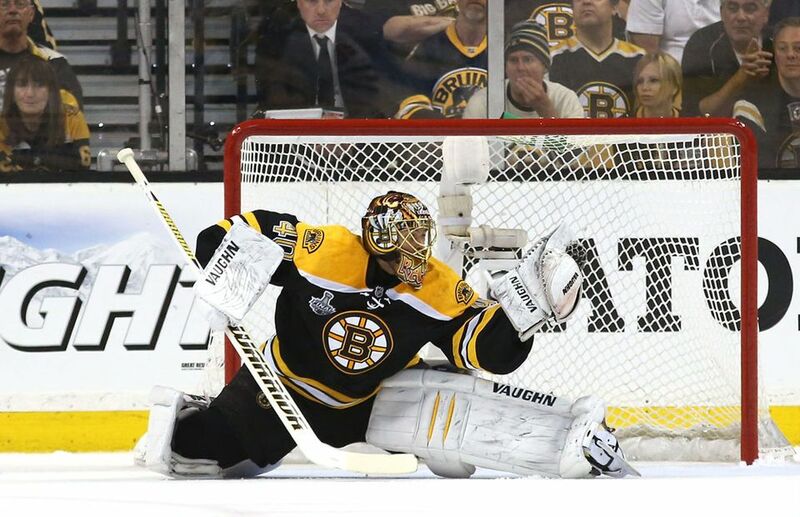 However, Julien could not add to his franchise-best total of 57 playoff wins in 2015, as Boston was the only Eastern Conference team with a positive goal difference not to make the postseason. Part of the reason for the ninth-place finish was Boston's inability to win any of the contests on its three-game road trip to end the season. The TD Garden crowd helped the Bruins to a top-10 home record in 2014-15, but the road was not kind to Julien’s squad. The Bruins have an intriguing schedule to start this season, as Julien attempts to become the winningest regular season coach in franchise history. He and his 351 wins are just 26 behind Art Ross for top spot. Although Boston opens the season against three 2015 playoff teams, all three of those contests are at TD Garden. After the Bruins host the Tampa Bay Lightning for an afternoon game on Columbus Day, they head to Colorado for a relatively quick road trip. Last year, the B’s lost in a shootout against the Avalanche, but they face the Coyotes in Arizona three days later. In 2014-15, Boston went 2-0 against Arizona and outscored the Coyotes, 9-3, in the two matchups. Zdeno Chara, a six-time All Star and the 2008-09 recipient of the James Norris Memorial Trophy, could be moving up some leader boards this year. A strong season for the captain and the B’s would bring his +188, the fifth-best active plus/minus, up from 67th place all-time. Moving to +200 overall would push him past four players, most notably Bob Gainey and Phil Esposito. Chara just cannot repeat his plus/minus of zero from the 2014-15 season. In addition, he is just 28 shots behind Cam Neely for the sixth-most shots in Bruins history. As far as goals go, Chara needs only nine power play goals to pass Bobby Orr for the seventh-most in franchise history. However, it all comes down to Chara’s health. After playing in his fewest games in a full season since 1998-99, he is in danger of missing the opening night tilt against the Winnipeg Jets. There are also some interesting milestones in the sight for three of the B’s forwards. David Krejci led the National Hockey League in plus/minus during the 2008-09 and 2013-14 seasons, and he is hoping to climb up the hat trick leader board. The alternate captain has three career hat tricks and will be looking to tie and pass Steve Heinze and Jason Allison, who each had four in their Boston careers. Brad Marchand, who comes into this season with 15 short-handed goals, is looking to soon move from 10th place to the third spot in franchise history. Don Marcotte and Esposito are tied for third place with 20 each. Patrice Bergeron, who was selected for his first All Star Game in 2015, is looking to tie Gainey for the most Frank J. Selke Trophies in league history. Bergeron has won three such trophies, and all of them have come in the last four years. The alternate captain, who has 40 game-winning goals with the Bruins, will be looking to reach Ken Hodge for the sixth-most (47) in franchise history this season. How can we forget one of the league’s best goalies? Tuukka Rask’s 92.6 career save percentage is the best in NHL history, and he will be looking to break a tie with Andy Moog for the seventh-most wins in franchise history on Thursday. The players next on that list are Gilles Gilbert (155), Eddie Johnston (180) and Tim Thomas (196). Additionally, with just 18 games played, Rask will move from eighth to sixth in goalie games played in franchise history. He will most likely get to sixth in Bruins goalie minutes played as well. Another impressive part of Rask’s resume is his 26 shutouts, and he is already tied for the fifth-most shutouts for a Bruin. He will be hoping to approach Frank Brimsek’s 35 for second place, but his sights are currently on Johnston (27) and Thomas (31). The 28-year-old Finnish goalie will try to tie Johnston in that category on Thursday’s opening night contest against the Jets at TD Garden. For more sports coverage, follow Adam Lowenstein on Twitter at @StatsAdam. Statistics used from Hockey-Reference.com.